Feeling bloated all the time? suffering with IBS symptoms? tired at certain times of the day? headaches for no apparent reason? These symptoms may be caused by an immune system response to a particular food. The good news is these troublesome symptoms can be reversed, once you find the culprit and make the necessary dietary and lifestyle changes. 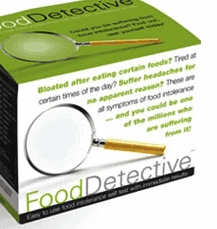 If you think you may be reacting to your food, take the food detective test – it’s the world’s first in-clinic test for food IgG intolerances, which looks for antibody reactions to 60 commonly eaten foods. 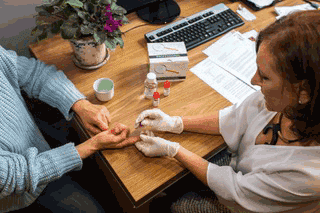 The test is performed taking a blood sample from a finger-prick (during a 10min consultation) that is then diluted and added to a testing tray of protein extracts to identify the presence of food antibodies. It’s simple, safe, accurate and fast. 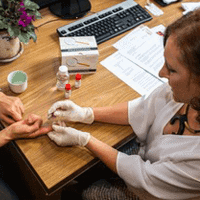 In addition to the short consultation, plus testing, a comprehensive report of findings with dietary advise will be presented to you at a 45min follow-up consultation. If you’d like to get to the cause of your tummy troubles and live a comfortable, symptoms free life, book in for your test today – click here .